In theory, spirit entities are energy ﻿ are energy and can be detected by electronics devices such as an Electronic Voice Phenomena recorder ﻿﻿ recorder ﻿, for one example. Proponents of this theory consider EVP﻿﻿ to be a form of paranormal manifestation, often found in broadcast transmittions﻿ recieved by television and radio sets. In theory, "apparitions﻿" are veiled within the static and/or other background noise emanating from the reception of the signals. Others have expounded on this idea with the theory that certain electronic devices could be inadvertent portals through which energy beings could pass to and from another dimension into the one we inhabit and/or through which spirits of the dead could call out from beyond the veil. At first glance this may seem like an eccentric idea, but there has been precedence for these ideas from such eminent scientists as Thomas Edison﻿﻿ and Nikola Tesla﻿﻿ ﻿. In October of 1920, Edison announced that he was working on a new machine that would allow people to talk to the dead. In 1933 an article in Modern Mechanix magazine reported on a secret demonstration in his darkened laboratory with several scientists present. According to the article, the team of scientists spent hours closely watching Edison’s demonstration for any sign of contact from beyond. But in this instance none came. Edison died in October of 1931, having never completed his spirit phone﻿. As was too often the case, this was another of Edison's "brillant ideas" that he appropriated from Nikola Tesla﻿﻿﻿﻿﻿﻿﻿. In 1899, while working in his Colorado Springs laboratory, Tesla began hearing strange rhythmic sounds on his radio receiver. There were multiple incidents in which Telsa had intercepted what he thought were intelligent signals from space. He believed that the simplest form of communication (such as the interchange of numbers) could represent a form of intelligible transmission from extraterrestrials. The scientific community rejected this idea, as cosmic radio signals were not even known to exist at the time. The confirmation of the existence of cosmic radiation proved Tesla was actually hearing “something” and this gave birth to the field of radio astronomy﻿,﻿﻿ which is now used to detect signals from distant stars and other mysterious celestial sources. 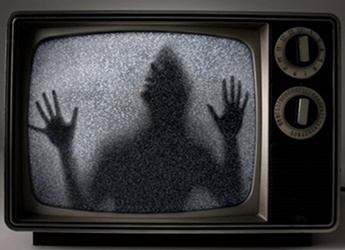 In the early days of analog television signals a popular form of ghost hunting was to tune the television set to a vacant channel and monitor the static display for any audio or visual apparitions that might indicate some sort of pan-dimensional contact through these ﻿ "haunted TVs﻿﻿﻿". It was later discovered that this “static” was in fact primarily the electromagnetic Cosmic Microwave Background Radiation﻿ left over from the early stage of the universe in Big Bang cosmology. This discovery should have satisfactorily explained and put an end to the discussion of television ghosts, but the unexpected has happened. So, what are we talking about here? This is a difficult question to answer. There are a number of possibilities and perhaps an equal number of probabilites and at this point it is all a matter of speculation and conjecture and any theories at this point are primarily a reflection of the mindset one brings to the subject. The main problem is that, unlike most of the subjects covered on this website, we do not have a history of facts and figures gathered over hundreds and even thousands of years. The technical innovations and apparatuses involved in this discussion have only been around since the beginning of the 20th Century, which in terms of the human experience is yesterday afternoon. 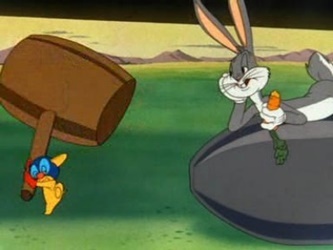 This is not much time to gather sufficient evidence from which to draw any definative conclusions. The original screenplay centers around a suburban family. The youngest daughter Carol Anne awakens one night and begins conversing with the family's television set, which is displaying static following a sign-off. The following night, while the rest of the familysleeps, Carol Anne fixates on the television set as it transmits static again. Suddenly, a ghostly white hand emerges from the television, after which there is a violent earthquake. As the shaking subsides, Carol Anne announces "They're here". Bizarre events occur the following day: a drinking glass of milk spontaneously breaks, silverware bends, and furniture moves of its own accord. The phenomena seem benign at first, but quickly begin to intensify. That night Carol Anne is sucked to another dimension through an energy portal that appears in her closet. The family realizes something supernatural has occurred when they hear her voice emanating from the television set that is tuned to an empty channel. 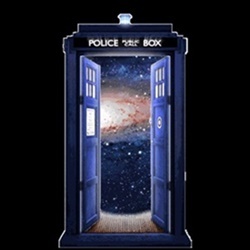 They discover that the entrance to the other dimension is through the children's bedroom closet, while the exit is through the living room ceiling. A group of parapsychologists determine that the family are experiencing a poltergeist intrusion. Eventually Carol Anne is rescued from the portal and after another series of supernatural attacks they realize the negative forces are due to their house being built where a cemetery was once located. 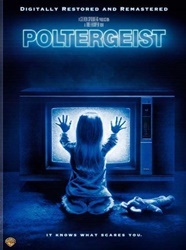 An unusually large number of sudden and violent deaths have occurred among the former cast members of the Poltergeist films. Among others who died was the young star of the movie Heather O’Rourke (Carol Anne) who one morning suddenly collapsed and suffered cardiac arrest en route to the hospital dying later that day. It did not go unnoticed that Heather was 12 years old at the time, the pubescent age when girls suffer poltergeist attacks. Her death, along with others has given rise to the rumor the productions were in some way “cursed﻿﻿﻿” due to the nature of the films themselves, as if the evil spirits conjured in the film reached out to claim what they might see as their sacrificial victims. So once again, what are we talking about here? There are a number of possibilities and perhaps an equal number of probabilities. The first theory that people are drawn to is the “conspiracy theory”. Interestingly, the term conspiracy theory originated with the CIA who began to use it as a means of discrediting theories that they were involved in the JFK assassination by my moving the conspiracy pointing finger from one target to another. This makes conspiracy theories part of a conspiracy theory or a Catch 22.0. This could be part of a government conspiracy (foreign or domestic) to hack into and manipulate the electronic media for the purpose of Geo-political gamesmanship and/or control of the masses. Or a plot by some Illuminati﻿ like cabal for the purpose of establishing the New World Order﻿. It could be part of an experiment devised in the dark recesses of academic think tanks and administrated with the government’s help, in order to see which way they can get the rats to run down the maze, as with Project MKUltra's﻿ LSD druggings in the 1960’s. If nothing else, what all these “possibilities” have in common is that they are logical. They do not need a great leap in imagination to be able to get your head around and consider. One can imagine how some secret online agency can intercept and scramble an email or tweet or make an apparition appear on the television screen. What they cannot explain is how a document can be “altered” when a computer is not connected to the internet or an apparition appears when the TV is not plugged in. 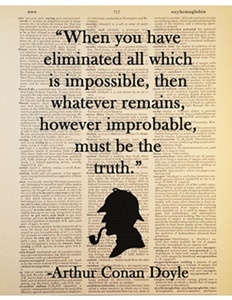 We are now in faced with having to consider an “improbable” answer. An answer that is difficult to consider, because it is outside our real world experience and challenges our entire perception of reality. 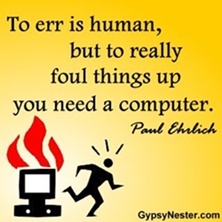 What could be happening is that these electronic communications devices are operating as energy portals﻿, through which energy beings from other dimensions can move into this one. Making a quantum leap as it were, for lack of a more accurate term. Making a leap here, consider for the moment the paranormal apparitions of “Shadow People﻿﻿”. Shadow people are generally said to be shadow like creatures of supernatural origin that appear as dark forms in the peripheries of people's vision and disintegrate, or move between walls, when noticed. Reports of shadow people are similar to ghost sightings, but differ in that shadow people are not reported as having human features or attempting to communicate and witnesses do not have the sense of being in the presence of something that 'was once human'. Their description varies from a two-dimensional shadow to a vaporous or distorted three-dimensional form. What is significant as regards this instance in when they seem to be composed of pixels. "Get microscopic enough and you start seeing pixels. I don’t know about you, but that makes me laugh. 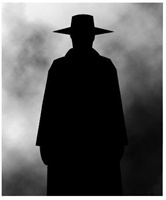 I mention Hat Man because I find it interesting to note that the appearance of Shadow People began to be reported in the late 1940’s and early 1950’s, around the same time as the introduction of analog television into the household. Also of note I feel is that he is an image that was being streamed through the TV waves of the frightening Commie hiding under your bed. One can imagine some entity on the other side of the 1950's TV screen looking in and seeing the fear of this image on the faces of the people watching the set and recognizing what a great Halloween costume it would be to scare the neighbors and to be able to get his candy in the form of dark energy for him to feed on.